← Speaking of Fun Trailers, Here’s One About Vampires! In this glorious day and age of prestige television, I’ve found that a lot of shows are good…but not great. A lot of shows are well-made and tell a fine story with fine characters, but they’re missing that spark that truly speaks to me as great television. I found a lot of the Marvel Netflix shows were like that, especially the later seasons. It’s like prestige television narrowed all of the creativity of making shows. I felt that way about the first season of Runaways. But season two is much improved, and I’d daresay it was the most enjoyable comic book show I’ve seen in years. The characters are super fun, and each one is unique in a lot of ways. The second season wasn’t afraid to deliver solidly exciting superhero moments that were just plain cool. That is surprisingly key to good superhero storytelling. This season also kept the story moving instead of dragging everything out. The one thing that bugged me most of all about the second season of The Punisher was that I knew from the first episode that the villain story with Billy Russo was going to be stretched out for the entire 13 episodes. That was insufferable. Ugh. 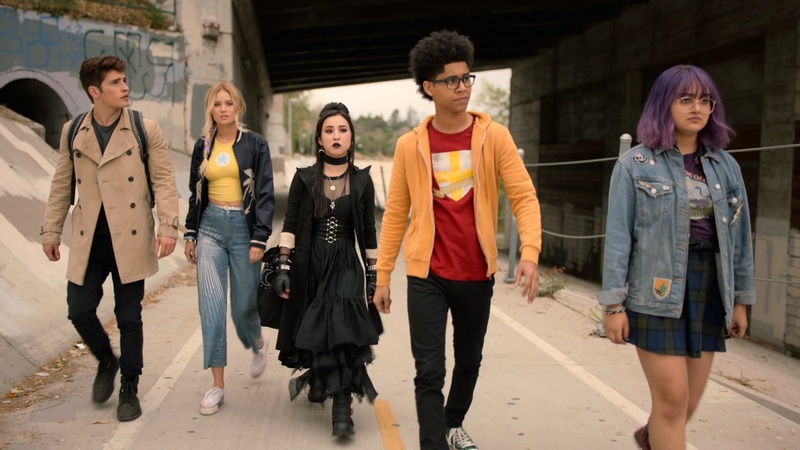 But Runaways deals with its villain within the first half of the season, brings up some others for a couple of episodes and ends the season with an even bigger, more dangerous threat. The second season brought a lot of variety to the antagonists, even if they all fit within the same ongoing storyline. That was very much appreciated. In my review of the first season, I thought the show spent too much time developing the parents of Pride. The parents were killed off rather quickly in the comics, and it bothered me in season one that the show paid them so much attention, sometimes to the detriment of the Runaways themselves. In was my theory that the TV show writers took the opportunity to flesh out the parents as characters, since that wasn’t really done in the comics, whereas the comics had established the Runaways pretty well. I was disappointed that the writers spent so much time on the parents when the Runaways were far more interesting and entertaining characters. Consider me convinced that keeping the parents around was a much better idea! They are all hugely entertaining characters portrayed by really fun actors, and they added a lot to this season. 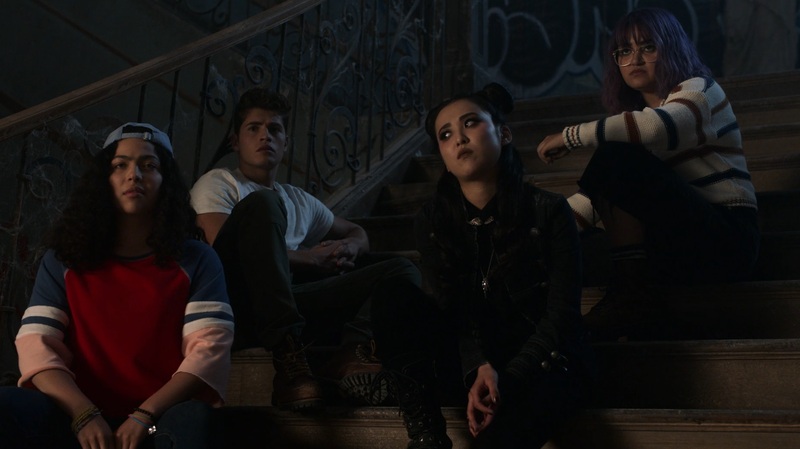 They’re still bad guys and antagonists for the Runaways, but in a far more complicated and enjoyable way than the first season. Jonah is obviously the Big Bad, but I like how the parents are opposed to him too, and legitimately want what’s best for their children. And I liked how the Runaways kept coming back to their parents in little ways throughout the season, making their rebellion far more interesting and emotionally resonant. Runaways the TV show doesn’t just paint with broad strokes of “parents = evil, Runaways = good”, and that has made for a very entertaining and nuanced season. Dress shopping with stolen money! The Runaways were the best part of the first season, and they’re even better in the second season! Everybody is written and acted so well, making for a really entertaining ensemble. And they each get their own subplots, and their own complicated relationships with their parents and the other parents. The show really knows how to use their actors to bring out the best in these characters. I also really enjoy the romances kicking around, like Nico and Karolina and Chase and Gert. And keeping Alex around has been another boon. He was written off fairly quickly, like the parents, in the comics, but taking away that traitor storyline has worked wonders for the character. He adds a special key role to the Runaways, and the actor is really good. Even Molly was much improved this season, though the show continues to struggle with treating her as supposedly younger than everybody else. I was not a fan of the show’s plan to age up Molly, but then not age her enough to match everybody else. 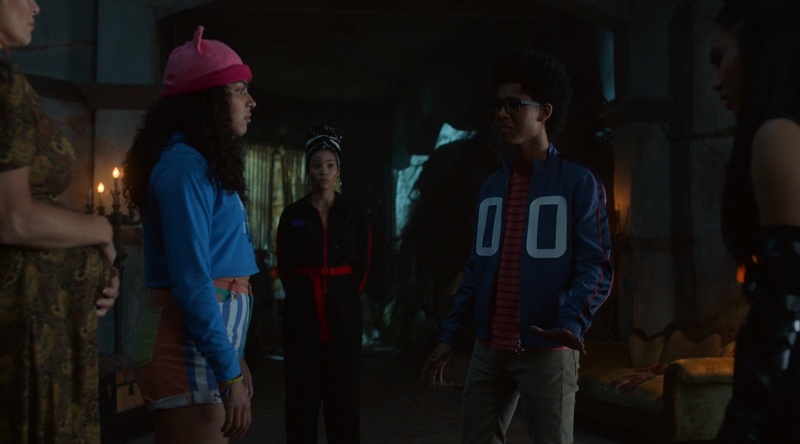 There’s not that big of a difference between a 14/15-year-old and a bunch of 16/17-year-olds, especially when actor Allegra Acosta is actively taller than a couple of her co-stars. So the whole ‘Molly is significantly younger than the others’ thing holds no weight anymore. At least her quinceañera was delightfully fun! 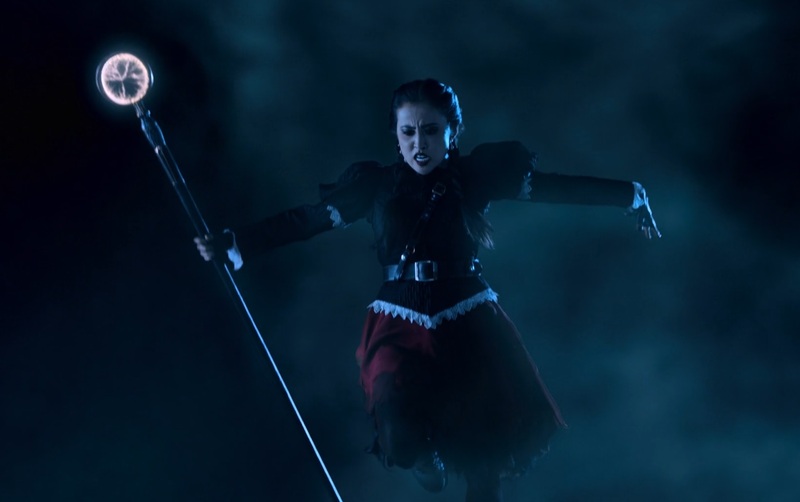 The real standout character this season was Nico Minoru, both for the good character drama and the sincere badassery. The best moment of the entire series so far was when Nico cast the tornado spell and lifted herself out of the hole at the dig site, then landed like a total boss. 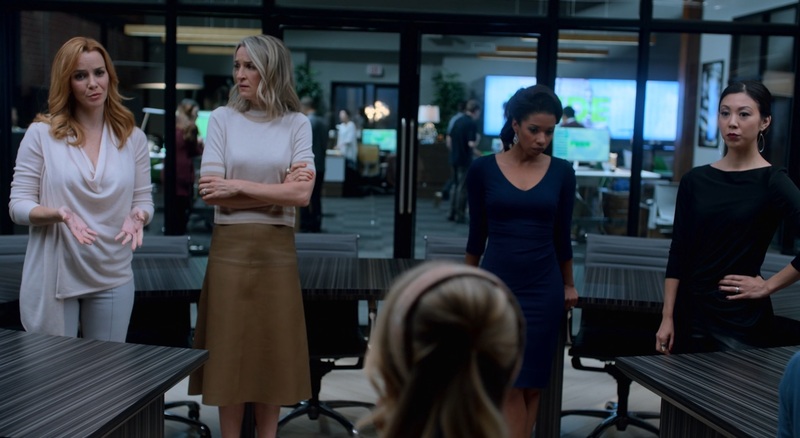 That is how you make a superhero TV show stand out from the rest: you deliver the badass boss moments. Don’t hold back, don’t be afraid to embrace the super-powers. Nico owned this season. Her character drama was just as good, whether facing off against her mother or having a rocky relationship with Karolina. It all worked. Though it was a little surprising how many goth outfits she managed to pack when they ran away from home. Also, did anybody else notice that her eyes took on the bad guy effect from the Doctor Strange movie when the Staff of One started controlling her? I don’t need this show to tie into the Marvel Cinematic Universe, but that was a nice touch! I’ve touched on this throughout my list so far, and I wanted to lay it out clearly: I’m very much enjoying all of the changes from the comic to the show. I love that the parents are still around and providing their own unique element to the ongoing story. I love that Alex isn’t a traitor dismissed from the team right away. I love that Nico and Karolina are getting together right away. I love that the Gibborim aren’t weird, gigantic monster people. I’m loving this crazy church angle. The show is still within the spirit of the Runaways comic, but they’ve gone their own way on a lot of storylines and it’s all working for me. I have full faith in these showrunners. Though sometimes the way they try and write quippy dialogue for the teenagers just doesn’t work all that well. This is an odd little tidbit, but it’s one of the main thoughts I had at the end of the season finale: I like how the squad has suddenly, temporarily shifted. The second season ends with everything gone to hell, half the team captured by different groups, and everybody in a weird position going forward. There’s every possible chance that the Runaways team we get at the end of the season isn’t going to stay as a group, but I don’t care. For now, in those final minutes, the Runaways had morphed into Nico, Alex, Molly, Xavin and a pregnant Leslie Dean. I just find that really neat. The way the show has evolved and changed their story, the way characters can change and be different. That that is the group that comes together at the Hostel at the end of the season and have to step up and save the day is just really really cool. That’s exactly the sort of out-of-the-box thinking I want in my Runaways TV show! Also, Xavin was one of my favorite characters in that early run, and I’m pleased with how the show is using them so far! Posted on February 20, 2019, in Lists of Six!, Marvel, Reviews, Television and tagged Hulu, Runaways. Bookmark the permalink. Leave a comment.